Nausea, abdominal pain, vomiting and diarrhea can be signs of as poisoning and intestinal infections. These diseases differ from each other in the etiology, some of the symptoms and methods of treatment. This article describes food infection and poisoning, their different manifestations and treatment methods of accurate diagnosis. Food poisoning and intestinal infections primarily differ in the etiology, i.e. cause of the disease. Poisoning develops as a result of intoxication by the toxins that are formed in damaged and rotten products. Intestinal infections are caused by highly pathogenic microorganisms that can cause inflammation in the walls of the digestive tract and lead to intoxication syndrome. With the disease of infectious origin, the clinical picture is caused by ingestion of pathogenic microorganisms. It can be viruses and bacteria. Please note that the intestinal infection is contagious, people they can become ill after household contact with a carrier of the pathogen. rotavirus infection, or stomach flu, is a contagious viral disease transmitted by the faecal-oral route. Is a seasonal pathology. The peak of the disease comes in the winter. Please note that rotavirus infection is often confused with influenza and SARS. This disease develops viral intoxication, such as the common cold. The main difference between rotavirus infection is the occurrence of diarrhea and vomiting. Intestinal infection with pathogenic microorganisms, once in the intestine, cause marked inflammation. These diseases accompanied by severe intoxication syndrome, and are dangerous to humans. Especially hard they were carried by young children who are very sensitive to intoxication and dehydration. Eating low-quality and spoiled products. It can be expired food or stored at the wrong temperature. In such products to multiply opportunistic bacteria that are not dangerous to humans, and the symptoms of poisoning develop from toxins produced by them, and from their metabolic products. Insufficient heat treatment of meat and fish. Failure to comply with sanitary-hygienic norms and rules. 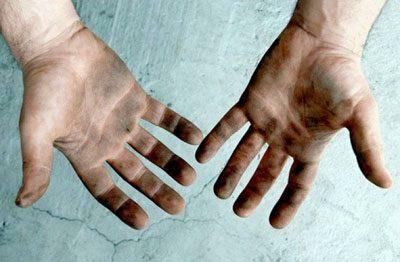 Dirty hands, unwashed utensils, badly washed fruits and vegetables can lead to poisoning. Eating poisonous plants or mushrooms. Please note that food poisoning is not contagious. With the poisoned person can easily communicate without getting ill, but the food they eat sick to eat impossible. Food poisoning and food infection have much in common and are similar in their clinical picture and course of the disease. Because of the similarity of symptoms, they are constantly confused with each other. The defeat of the digestive tract. Toxins or bacteria, once in the gastric cavity, causing local inflammation of the mucous membrane and lead to gastroenteritis. Transmitted through food. To sick, you need something substandard or contaminated to eat. Symptoms: abdominal pain, nausea, vomiting, diarrhea, excessive gas formation and intestinal colic. Dehydration – a condition in which the body is derived a large amount of fluid. Poisoning or intestinal infection accompanied by severe dehydration of the body (water loss) due to vomiting and diarrhea. The disease is always the standard procedure: first a certain incubation period, in which clinical manifestations of poisoning or intestinal infection are absent. Then comes the height of the disease, which comes the recovery period. The distinctive features of poisoning and intestinal infections help the doctor to suspect a particular disease. Some symptoms are very specific, pointing to specific pathology. Speaking about the distinctive features, we must not forget that for the same disease in different people may differ and be individual. There are also atypical forms of intestinal infections and poisoning, which are accompanied with mild symptoms. Please note that to try to distinguish poisoning from intestinal infection can be the symptoms of the disease. Final diagnosis is made only on the basis of laboratory studies of the organism. The duration of the incubation period for food poisoning less than with an intestinal infection. With the use of poor quality, spoiled food symptoms poisoning develops during the first 6 hours. In intestinal infections, the incubation period can last for several weeks. Localization most lesions of the digestive tract. So, if poisoning inflammation develops in the mucosa of the stomach and duodenum. In case of intestinal infection affects thick or thin intestine. Intoxication syndrome is more pronounced in intestinal infections. 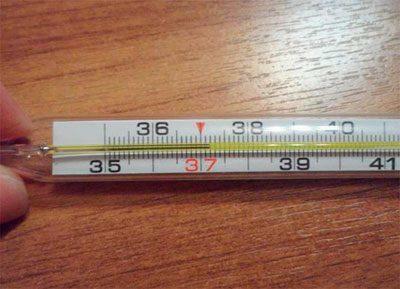 The temperature can rise to 39 degrees. Food poisoning, the body temperature does not rise above 37,5 degrees. Some intestinal infections differ in appearance and consistency of feces. For example, when salmonellosis liquid stool, green and frothy. In dysentery the stool is watery, you can see streaks of blood, in cholera stool like rice water. Doctor first conducts a medical history and examines the patient. It should specify the time of appearance of the first symptoms, to list a list of foods that you ate in past days. You should also tell you what measures for the treatment you have taken independently before seeking medical help, what comorbidities are sick, what pills constantly take what are allergic. As we mentioned above, the final diagnosis can be made only on the basis of laboratory studies. If poisoning or intestinal infection diagnosis aimed not only at diagnosis but also for evaluating the status of the whole organism, the identification of possible complications. to identify anemia or hemolysis (can grow at a poisoning with poisonous mushrooms). Urinalysis is performed to detect abnormalities in the kidneys. It should be noted that acute inflammation of the renal structures (pyelonephritis) can mimic food poisoning. When it is atypical for may develop diarrhea and abdominal pain. In the urine it increases the level of leukocytes. 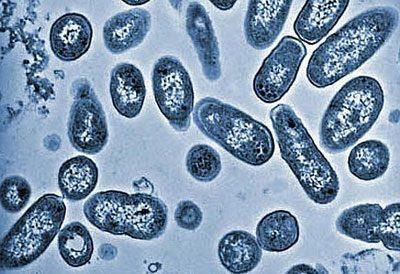 Bacteriological examination of the feces allows us to identify an intestinal infection. Biochemical analysis of blood is needed to diagnose abnormalities in electrolyte balance, as well as to detect disorders of the liver, kidneys, pancreas. Ultrasound examination of internal organs is done to evaluate the status of the gallbladder, liver, pancreas and kidneys. It is these organs are affected first in case of poisoning or intestinal infection. Identify deviations in them helps the doctor prescribe the necessary treatment and prevent the progression of the lesion. Electrocardiography is in marked dehydration and electrolyte disruption. ECG is necessary for identification of deviations of a rhythm. The main difference in the treatment of intestinal infection and food poisoning is the need of antibiotic therapy. When laboratory confirmation of bacterial etiology of the disease, the doctor will prescribe antibiotics that the patient should be taken strictly according to the scheme. Please note that viral intestinal infections are treated the same as food poisoning. Antibiotics or antiviral drugs are not assigned. The other components of the treatment are practically identical. Diet, drinking plenty of fluids, antispasmodics, enzymes, anti-nausea drugs – all this helps the patient to recover faster. 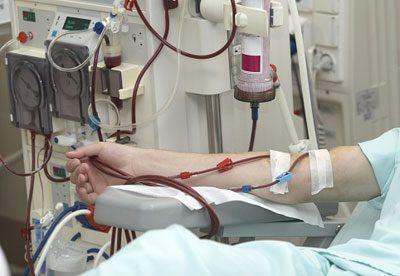 It should be noted that in the case of poisoning with poisonous mushrooms, the patient may need hemodialysis – cleansing the blood from toxins by using the artificial kidney. Poisoning and intestinal infection have much in common and different. An accurate diagnosis can only be experienced by the doctor after examination, history taking and patient examination. The treatment is prescribed by a doctor after identifying the cause of the disease. Intestinal infection help antibiotics. Assign them to yourself not to accept them only on the recommendation of a physician. Sinusitis and sinusitis: what is the difference, what is the difference, the worse the sinus infection or sinusitis?